I got introduced to Saadat Hasan Manto when I read Toba Tek Singh in school while studying the partition of India. Khushwant Singh’s Train To Pakistan and Govind Nilhalani’s Tamas completed my partition trilogy. (Tamas’ author is Bhisham Shahni and I watched the Doordarshan masterpiece). Manto kept on resurfacing at regular intervals and his impact grew on me with the passage of time. Thanda Ghosht and Khol Do threw light on monstrous brutalities committed by fellow human beings in the name of partition. 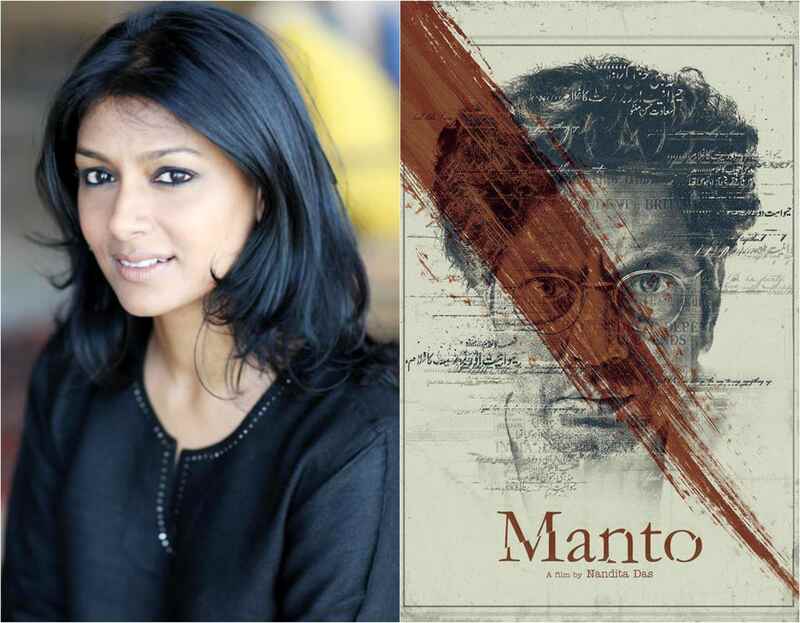 Nandita Das brings Manto back into the spotlight – a much awaited film on the genius by a sensitive and intellectual director. Nandita’s Manto depicts his journey from pre-Independent British India to post-partition India and a newly formed Pakistan. The movie’s initial focus is on Manto’s Bollywood days, friendship with Ismat Chughtai, family time with wife Safiya etc. One gets a glimpse of Bollywood personalities, Manto’s fearless voice, his empathy for the less elite members of the society and the power of his words. Post India’s independence, the evil partition divides a newly reborn country. After a brief time in Bombay, Manto moves to Pakistan. The loss of Bombay and the scars of partition slowly affect him and break him down. Liquor and cigarettes become his fast friends and he stops writing back to his friends in Bombay. His pen is still brutally naked and focusses on the monstrous human behavior. He is charged with a case of obscenity in Pakistan and he loses it. The progressive writers also attack him, and he finds himself in a minority. Eventually he goes to an asylum for de-addiction. Returning after a decade to the director’s chair, Nandita Das provides a very touching portrayal of the man behind the author and his eventual breakdown. She depicts Manto’s struggles, pains and heartbreak with total empathy. Her hard-work in research is very evident. Nawazuddin Siddiqui is at the top of his game. He looks and plays the attitude of Saadat Hasan Manto with great effectiveness. 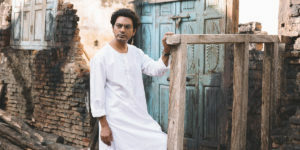 Manto is a new breaking ground for Nawazuddin, who has mastered the thriller and gangster space. Rasika Duggal is a perfect companion to Manto and she provides the right anchor. She is silent, spirited, strong and dignified. The supporting cast includes stalwarts like Paresh Rawal, Divya Dutta, Rishi Kapoor, Ranvir Shoerey, Javed Akhtar, Ila Arun, Gurdaas Maan, Niraj Kabi etc. Tahir Bhasin shines as Manto’s friend/superstar Shyam. It is worth noting that most of the stars have done the film at zero or minimal cost. Nawaz has charged only Re 1 for the movie. The movie’s production values, art, costume music and background score are world-class and in perfect sync with the movie’s tone. ‘Bol Ke Lab Azaad Hai Tere’ is an anthem! “Agar aap mere afsaano ko bardasht nahi kar sakte, toh iska matlab yeh hai ke zamaana hi naakabil-e-bardaasht hai”. The scenes are very well-designed and thoughtful. Take a very simple scene at the start of the movie – where Manto and Safiya are sitting in a park and discussing about a woman’s facial hair. A simple park banter speaks of their companionship, Manto’s imagination and simplicity of their lives. Or another scene in which prompts Manto to move to Pakistan. His friend is trying to stop him from going to Pakistan. He argues and says that Manto is not a Muslim enough (in reference to his alcoholic habits). Manto retorts that he is a Muslim enough to be killed. The scene delivers in the message in the most thundering silent way! Manto’s sensitivity is seen in another scene. He is hurt when Faiz Ahmed Faiz defends Manto’s writing as not obscene, but he also remarks that Manto’s work is not literature. He keeps on thinking about this comment in garden. His daughter’s sickness and his apology to Safiya really affect you – why does he have to suffer! Nandita weaves Manto’s famous stories into the main narrative with great dexterity but I found the stories to be too brief and directly striking the key message. I understand Nandita never wanted to talk about the stories because everyone knows them – she was highlighting the context and inspiration of those stories. But I would have loved to see Nandita’s Midas touch to these timeless stories. Many of us do not know Gandhi, so to expect people to be aware of Manto is an important assumption. The movie’s promos and Mantoiyat theme had created an impression of a strong, courageous and larger-than-life Manto. People were expecting more fiery stuff whereas the movie showcased only the few years of Manto’s life. This created an expectation vs reality gap. But it is director’s prerogative to choose what to showcase. The chosen aspect of life is more difficult to showcase. More importantly, it is more significant to be showcased – how a creative genius withers away! The post millennial generation cannot relate to DevDas and even Gandhi has to be wrapped in Gandhigiri. So, the film came across as a little gloomy and melancholic. I loved Manto. It is a class act. It is a rare gem. It is one of the fine works of recent times. Its grows on you! And it really makes you think! The impact and importance of the movie is beyond the box-office numbers! Watch it! Do not miss it!